Online ordering menu for Oscar's Restaurant. Welcome to Oscar. Our decoration and friendly staff together with the fusion of old and new cuisines make us unique. 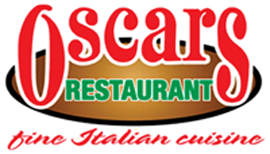 At OSCARS RESTAURANT we aim not only to provide you the best quality, freshly prepared food, but also a comfortable and relaxed atmosphere. Dining at our restaurant is like visiting Italy without leaving your hometown—an exciting blend of authentic Italian food, culture, and friendly atmosphere is guaranteed. Located on Cumberland Ave, near 19th St and Lake Ave. Walking distance from University of Tennessee and 6 minutes drive from Publix Super Market at University Commons. Order Online Now for Carry out and Delivery!